To ensure Philadelphia children have access to arts programs, a non-profit organization provided supplemental funding to the budgets of 15 public schools in the city this week. 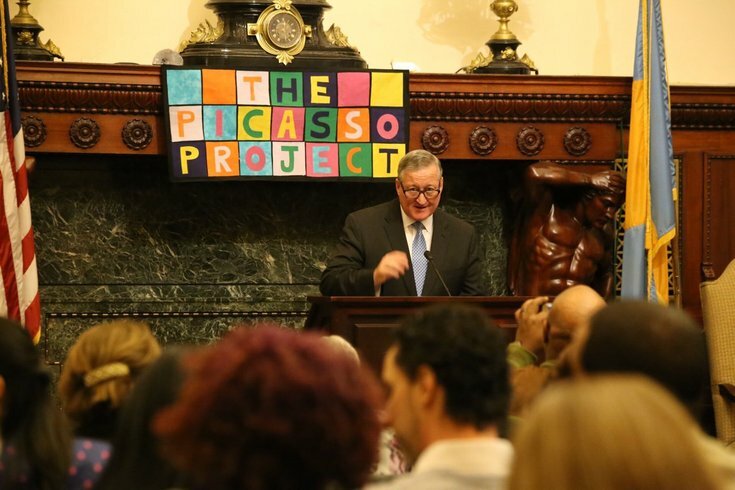 On Wednesday, the Public Citizens for Children and Youth selected 15 projects from cash-strapped K-12 schools in Philly to receive a total of $66,674 in Picasso Project grants. The initiative awards funds annually between $500 and $5,000 to public schools in the region. Representatives of the schools were invited to an award ceremony at City Hall with Mayor Jim Kenney. Started in 2002, the Picasso Project funds music, dance and visual art programs in schools facing budget shortfalls while advocating for increased support toward arts education. The award committee is comprised of school teachers, administrators and artists. The grants are reserved for public schools with no more than 2 full-time arts teachers. To date, the PCCY has awarded $612,792 to 149 projects at 87 schools through the Picasso Project.